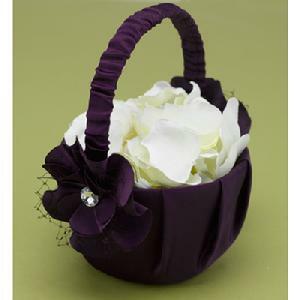 11232 - Eggplant matte satin basket with layered floral embellishment, black French netting and clear gem center. 8" tall. Petals not included.